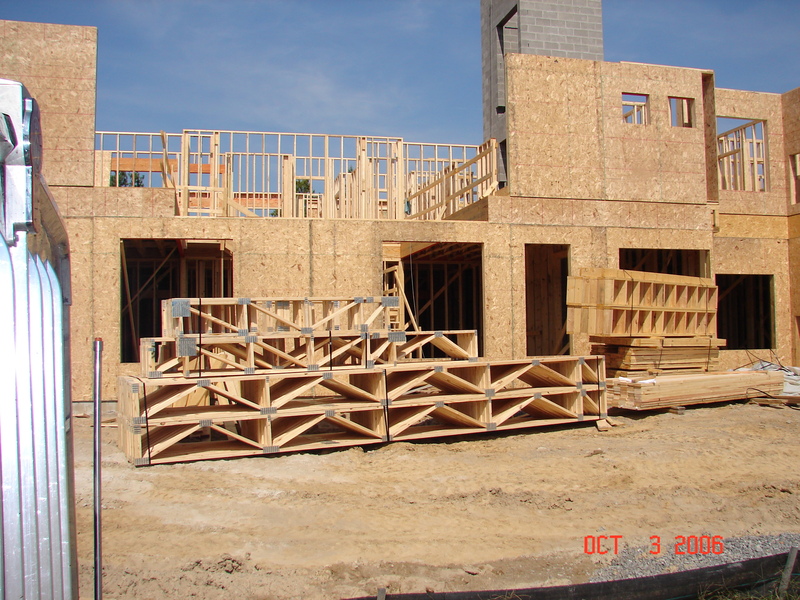 Floor Trusses – K&K Industries Inc. Floor trusses delivered to job site. Floor trusses can clear span wide areas without load bearing walls and without post and beam requirements. Custom floor trusses can also provide a space for HVAC, plumbing, and electrical systems within the floor truss panels, eliminating bulkheads. Floor trusses with trimmable ends provide even more flexibility for your job. To make a trimmable floor truss, a Trim Fit I-Block is added to the ends of a regular floor truss. These ends can be built into one or both ends of a floor truss, and can be trimmed up to 12 inches ensuring a perfect fit for every job. In addition to manufacturing floor trusses, K&K also provides engineering and layout services. We can field-verify measurements and assist with design as well. Job-site delivery is available.